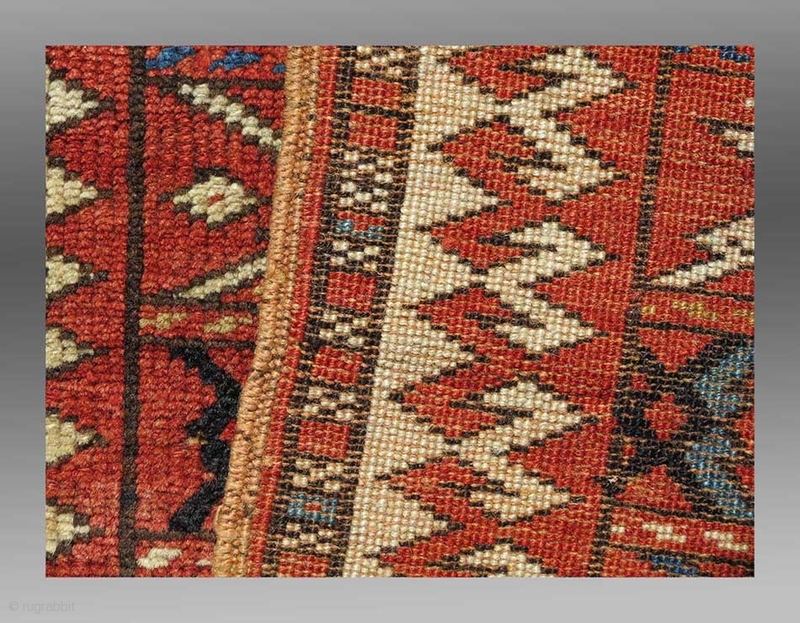 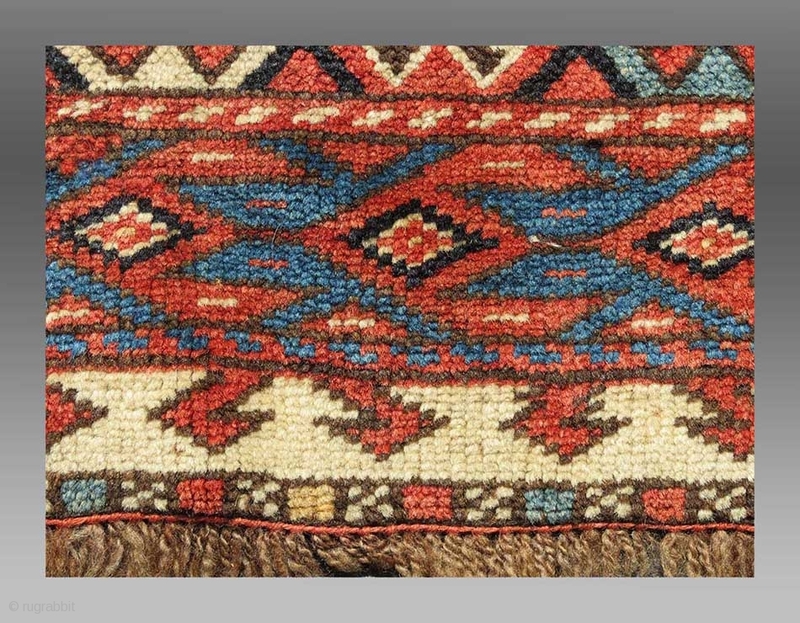 One of those difficult to attribute weavings from nw Persia. 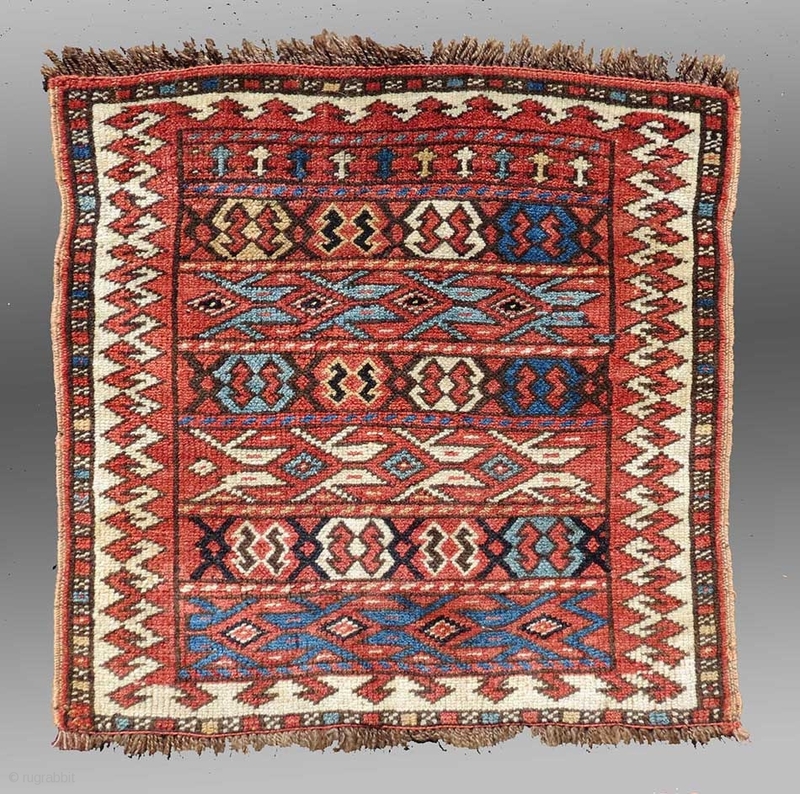 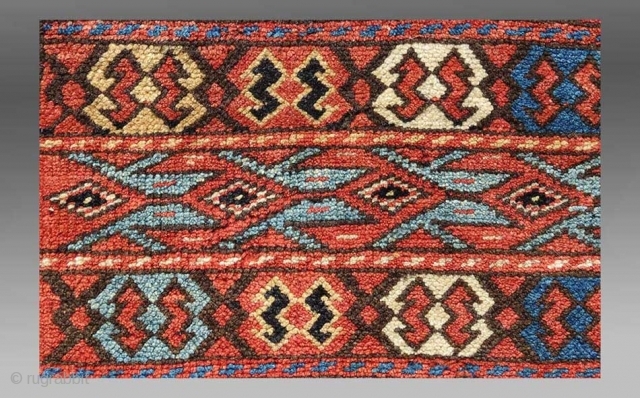 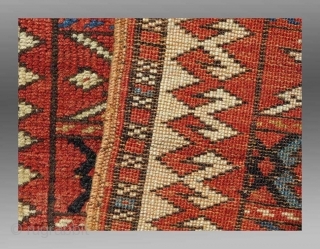 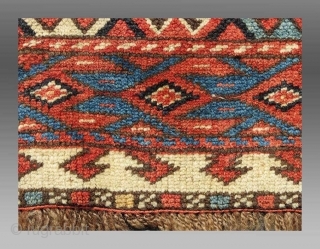 With some elements of Caucasian design, the weave seems to be a bit coarser suggesting a Kurd group. 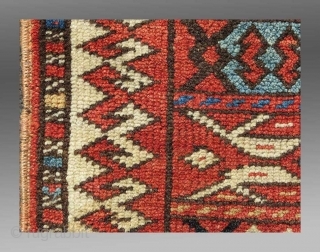 With that said, the design appears to mimic designs more readily associated with flat woven examples. 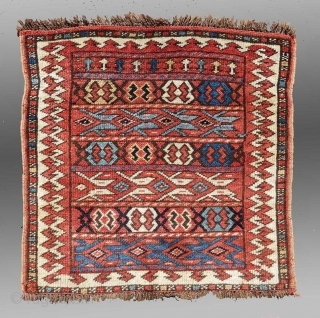 The condition is good, with slight overall very even wear, original selvedges intact. 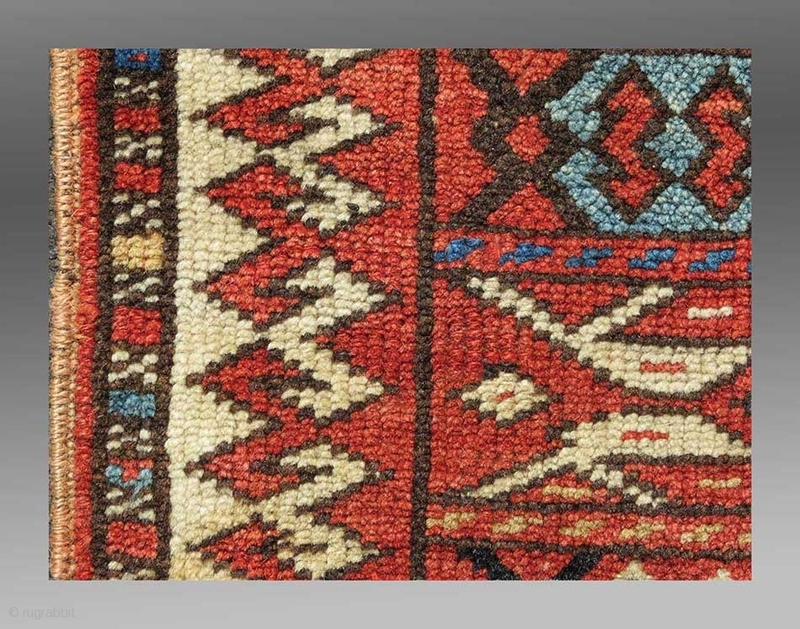 All the colors are derived from natural dyes.